'The Wandering Earth' triggers year of sci-fi films? Feb. 11 (NBD) -- Chinese sci-fi blockbuster, "The Wandering Earth", has generated more than 2 billion yuan (296.3 million U.S. dollars) at the box office since its release last Tuesday, according to a post published via the official Weibo account on Sunday night. The film, adapted based on the novella of the same name by Hugo Award winner Liu Cixin (also the author behind the Three-Body Problem trilogy), tells a story of an epic project to move the Earth and its 3.5 billion residents to a remote star system in the near future because the sun is dying and is about to swallow up the Earth. In addition to the stunning box office revenue, "The Wandering Earth" received rave reviews among the audience, with its rating on professional box office tracker Maoyan reaching 8.6 points. In particular, the traditional value about family affection interpreted in the film earned the heart of many viewers. "The film inspires me to treasure family ties more than ever and understand my responsibilities," said Li Haijin from Xinji, Hebei Province. The fascinating epic is viewed as a milestone in the development of Chinese sci-fi films. "It represents a great step of the Chinese sci-fi film industry in catching up with Hollywood in film production," said Li Zhaoxin, partner of Future Affairs Administration, a technological and cultural brand focusing on the future. Scholar Dai Jinhua stated 2019 is expected to be a year of sci-fi films in China. Apart from "The Wandering Earth", also in play is "Crazy Alien", which was also released last Tuesday and has raked in around 1.5 billion yuan (222.2 million U.S. dollars) so far. Another Chinese-made sci-fi film, "Shanghai Fortress", is projected to make it onto theater screens this summer. In fact, the whole sci-fi film industry is still at its infancy and the emergence of a benchmarking production is just the first step, third-party service platform for China's entertainment industry yulezibenlun reported after interviewing a number of industry practitioners. In the view of Guo Fan, director of "The Wandering Earth", a year of sci-fi film couldn't be triggered by only one film and it would not be worthy of the name unless there is a slew of sci-fi blockbusters. But what we can say for sure is that the success of "The Wandering Earth" could offer new insights into the adaptation of sci-fi stories, namely, retaining the core parts of original works and reconstructing other plots. At present, the adaptation of sci-fi intellectual property works (IPs) is facing a number of challenges. Integrating into China's cultural context is one of them, Zhang Yiwen, CEO of a Tianjin-based company engaging in the development of sci-fi IPs. In her view, many sci-fi works such as "The Matrix" and "Ghost in the Shell" will discuss philosophy problems, but such concepts should be localized when being introduced into films targeting Chinese audiences, or Chinese consumers are less inclined to buy it. Establishing a sophisticated industrial system is also crucial. For example, sci-fi script writing requires exquisite logic and basic understanding of scientific knowledge and history of science, Chinese sci-fi writer Chen Qiufan said to yulezibenlun. Another challenge is the low conversion rate. Zhang Yiwen noted it would take at least three to five years to detect an appropriate sci-fi work and bring it to screens. 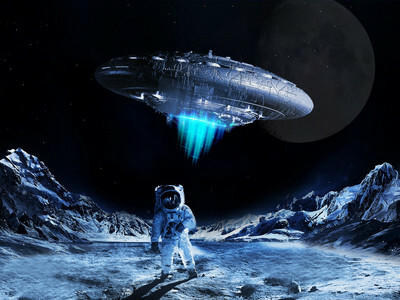 It is foreseeable sci-fi films with grand narrative themes will have great potentials in China in the future. However, the success of "The Wandering Earth" is difficult to imitate, and production firms could try making small-budget sci-fi stories, which is helpful to control risks while fostering talents and cultivating market.